John W. Hays is a Member in the Construction industry group, focusing primarily on litigation. He practices out of the Firm’s office in Lexington, Kentucky. John’s a problem solver – his main goal in his practice is to help people solve problems, whether in his role as an attorney, a mediator, or an arbitrator. His practice is primarily focused on construction litigation, contracts, and commercial litigation, but his years of experience mean he can help clients at any stage of a construction project or dispute. John represents owners, design professionals, contractors, construction managers, subcontractors, and suppliers. He’s also the co-chair of the Firm’s construction and development industry group, helping to grow the Firm’s practice in the construction area. John has extensive training and experience as a mediator in construction, commercial, employment, and personal injury disputes and has often served as an arbitrator. He is a specialist in his fields, serving as a member of numerous professional associations, a past president to several boards, and a frequent author and lecturer. It’s no wonder John has an AV Preeminent rating by Martindale-Hubbell, and was named Lexington Construction Law “Lawyer of the Year” in 2018 and 2016 by The Best Lawyers in America®. 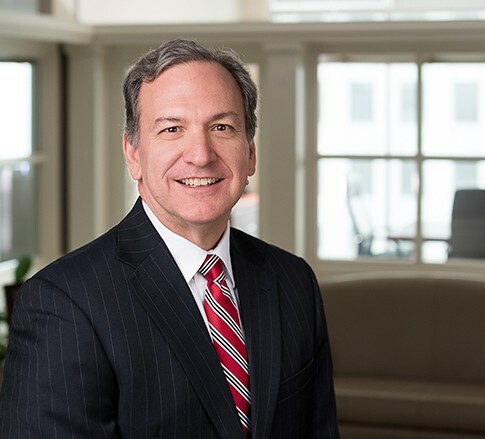 He has been named in the Kentucky Super Lawyers® list since 2009, named in The Best Lawyers in America® for Construction Law since 2013, and been a member of The National Academy of Distinguished Neutrals since 2012. John also serves on the Firm's Executive Committee. John is an accomplished athlete, playing defensive end and wide receiver for Princeton University while in college, completing the Chicago and New York marathons, and walking an average of seven miles a day. John's a fast mover - he met his wife Tamra in law school, they were engaged three weeks after their first date and were married six months later. Named the Best Lawyers' 2016 and 2018 Lexington Construction Law "Lawyer of the Year"